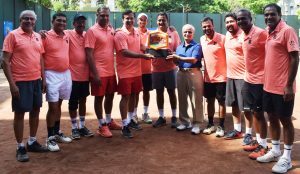 Pune, April 8: Title holders PYC A outplayed PYC B 21-11 to win the elite division finals of the 8th edition of the Shashi Vaidya Memorial Inter Club Tennis Championships organised by PYC Gymkhana and PMDTA on the PYC Gymkhana Tennis courts here. PYC A asserted their supremacy by annexing the title for the eighth straight year. 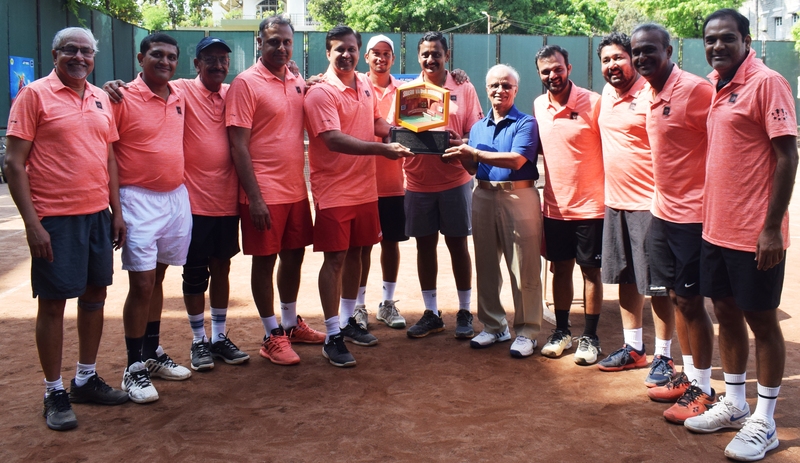 In the finals PYC A scored a 21-11 win over PYC B, In the 100 plus event Kedar Shah & Dr.Abhay Jamenis lost to Anup Minda & Himanshu Gosavi 3-6, In the 90+ Rutu Kulkarni & Jayant Kadhe outhit Sarang Pabalkar & Sunder Iyer 6-0, in the 1st open Abhishek Tamhane & Ketan Dhumal scored a 6-3 win over Yogesh Pantsachiv & Amit Late while Kedar Shah & Prashant Sutar sealed the win with an identical win over Amogh Bherey & Anup Minda 6-2. The winner team PYC A got Shashi Vaidya Memorial rolling trophy and Rs.40,000/-, while runner up received trophy and Rs.15,000/-. 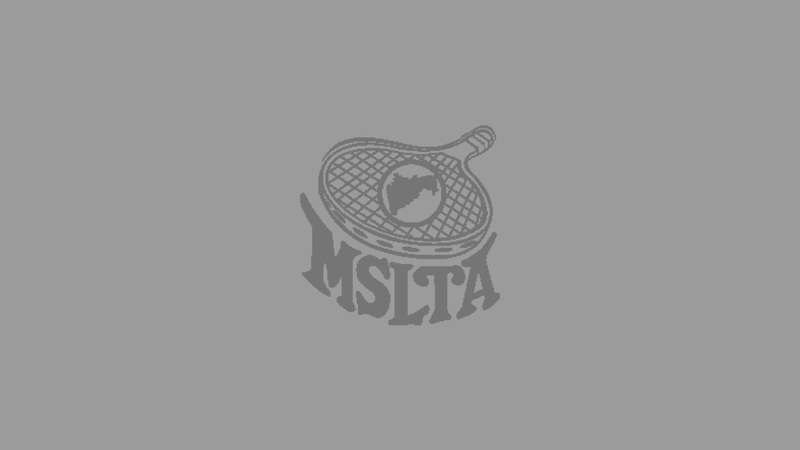 The prizes were given away at the hands of Dr.Sudhir Bhate, President of PYC and Mr.Sunder Iyer, Hon.Sec of MSLTA. 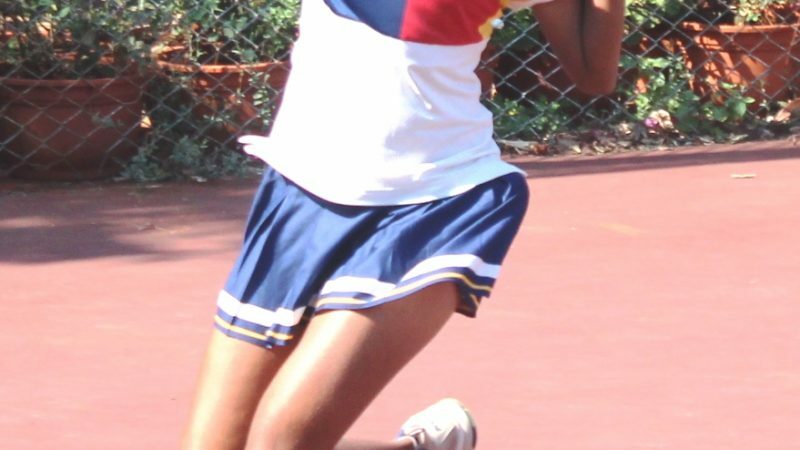 Mr.Abhishek Tamhane, Tennis Sec. Of PYC, Mr.Vinayak Dravid, Cricket Sec of PYC, Mr.Sarang Lagu, Mr.Kapil Khare were present on the occasion. PYC A bt PYC B 21-11(100+ Kedar Shah & Dr.Abhay Jamenis lost to Anup Minda & Himanshu Gosavi 3-6; 1st Open: Abhishek Tamhane & Ketan Dhumal bt Yogesh Pantsachiv & Amit Late 6-3; 90+ Rutu Kulkarni & Jayant Kadhe bt Sarang Pabalkar & Sunder Iyer 6-0; 2nd Open: Kedar Shah & Prashant Sutar bt Amogh Bherey & Anup Minda 6-2).